In our previous series of best smartphones list, we have already covered under 8000, under 10000, under 15000 and more. It was focused on the majority of users who are generally looking for a smartphone in the budget range. But what about power users? ₹30000 is a kind of sweet spot for smartphones where you can get flagship like performance but at an affordable rate. So without wasting any more of your time let’s get on with our list of best smartphones under ₹30000 or 30K in India. Honor View 10 was launched in early 2018 with a powerful HiSilicon Kirin 970 octa-core processor coupled with the latest 18:9 Full HD 5.99″ display. There are two variants of this device: 64GB Storage + 4/6 GB RAM and 128GB Storage + 6 GB RAM. You can either one of them and you will not be disappointed. The dual camera setup 16 + 20 MP on rear offers 2x Lossless Zoom and also 4K Recording. However, there is no Optical Image Stabilization provided. The front camera is f/2.0 13MP which is great for taking selfies. It has USB 2.0 Type-C connector but we were expecting USB 3.0 or 3.1, however, this is not a deal breaker. Also, there is Bluetooth 4.2, not 5.0. The battery is massive 3750mAh which is sufficient to last for a day. PS: It was awarded the award of Best of CES 2018. Nokia 8 was launched in the last quarter of 2018. It is packed with the last year’s flagship processor Qualcomm Snapdragon 835 couples with 16:9 5.3″ 2K IPS LCD display. Two variants of Nokia 8 are available in the market: 64GB Storage + 4GB of RAM and 128GB Storage and 6GB of RAM. The rear camera setup is superb. It has dual 13 + 13MP camera with laser autofocus, OIS(Optical Image Stabilization) with 4K Recording support. The front camera is massive 13MP which can also record in 4K. Surprisingly this device has USB 3.1 Type-C connector which is awesome for data transfer at high speeds. It has the latest Bluetooth 5.0 which is only happened to be packed in some of the devices that we have mentioned here. 3090mAh battery seems like little underpowered and may need a top-up in the evening to last throughout the day. Honor 8 Pro was launched in the 2nd quarter of 2017 but it still holds up with other smartphones in this price range because of the power it packs and competitive pricing. It is powered by HiSilicon Kirin 960 Octa-Core processor. Since it was launched in 2017 it packs a normal 16:9 aspect ratio 5.7″ 2K display with the resolution of 1440 x 2560. There are two variants of this device: One get 4GB of RAM and the other gets 6GB. The internal storage is 64GB which can be expanded via a microSD card. The dual camera setup on the rear is 12 + 12 MP along with laser autofocus and 4K recording support. The front camera is 8MP which can record 1080p videos as well. The charging and data transfer is done via USB 2.0 Type-C connector. The massive 4000mAh lithium polymer battery is more than enough to last throughout the day. OnePlus 5T is the successor of OnePlus 5. It is actually 2018 like the smartphone version of OnePlus 5. The 5T packs all the power of OnePlus 5 but with a bigger 6-inch Full Optic AMOLED 18:9 screen, a better low light secondary camera, and a few more perks. Similarly, It packs the Qualcomm’s latest SnapDragon 835 coupled with 6/8 GB of RAM & 64/128 GB of storage. The dual rear camera setup is 16 + 20MP with features like 2x lossless zoom. The front camera is 16MP and can take great selfies. It has the latest Bluetooth 5.0. However, there is no USB 3.0/3.1 support for Type-C connector. It is a powerful beast in the mid-range budget. It is one of the best 18:9 smartphones. LG G6 was the first device in early 2017 to have 18:9 display. It’s now almost a year old but worth mentioning here because of the recent price drop. It is powered by slightly older SnapDragon 821 coupled with 4 GB of RAM. It has the similar camera setup as the LG V30. 13MP normal (with OIS) and 13MP wide-angle camera can take breathtaking pictures like a GoPro camera. Don’t expect amazing quality with the front 5MP camera as it is not something to brag about. It has three storage options 32/64/128 GB. The device is pretty sturdy and surely recommended if you are looking for a great device in this price range. It has all the bells and whistles that you are going to need a daily driver. PS: LG G and V Series supports 32-bit HiFi quad-DAC and can easily power high impedance headphone with ease. 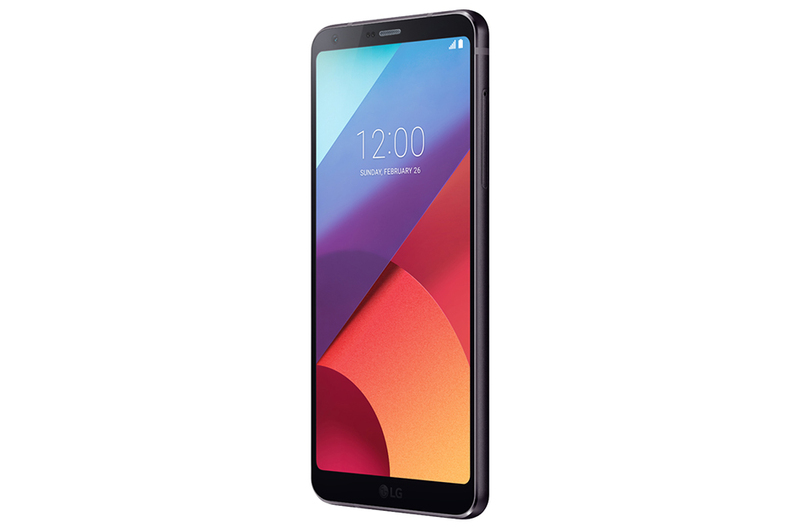 If you are an audiophile you should go with LG G6. Nokia 7 Plus was launched recently in the 2nd quarter of 2018 and is powered by Qualcomm Snapdragon 660 octa-core processor coupled with 64GB of Storage and 4GB of RAM. The display is 6 inches with 18:9 aspect ratio & Full-HD resolution. The rear camera setup is dual 12 + 12 MP with dual-pixel PDAF, 2x optical zoom and more. The front camera is 16MP capable of recording 1080p videos. It has USB 2.0 Type-C connector but we were expecting USB 3.0 or 3.1 since it is a 2018 device. It does come with the latest Bluetooth 5.0 and honestly, that is awesome. The battery is massive 3800mAh and can last for a day at least. Samsung Galaxy A8 Plus was launched in early 2018. It is powered by Exynos 7885 Octa-Core processor. The 6-inch Super AMOLED display is 18.5:9 ratio with Full-HD resolution. A8 Plus comes in two variants: 32 GB storage with 4 GB of RAM and 64 GB storage with 6 GB of RAM. The rear 16MP camera can take awesome photos, however, there is no dual camera setup in the rear. The front on the other end have dual camera setup with 16 + 8 MP camera and hence it can take great selfies. The connector is USB 2.0 Type-C. It does have Bluetooth 5.0. 3500mAh battery can last for more than a day under normal use due to it’s Super AMOLED power saving display. Oppo F3 Plus was launched back in April 2017 but is still popular among the users. It is because of the features that it has to offer. It is powered by Qualcomm Snapdragon 653 octa-core processor and has 64GB internal storage. The Full-HD 6″ display is of traditional 16:9 aspect ratio. It is available in two variants: 4 GB RAM & 6 GB RAM (India Only). The rear camera is of 16 MP with Optical Image Stabilization (OIS), PDAF and more. On the front, you get dual camera setup 16 + 8MP which leads to crispy looking selfies. It has a tradition micro USB 2.0 port instead of Type-C, but that’s okay. Also, no Bluetooth 5 is available. 4000mAh battery is more than enough to keep the juice going for a day. The rear of the smartphone features a dual camera setup with 12 + 8 MP with dual-pixel support on the primary one. The front packs a 16MP f/2.0 camera which is quite good for selfies. It has a Type-C connector which is great. The 3000mAh battery seems like a little underpowered and may struggle to last throughout the day. Vivo V9 is releasing early April 2018. It is powered by Qualcomm Snapdragon 626 octa-core processor coupled with 4GB of RAM and 64GB of storage. It has a similar design to iPhone X. The 6.3″ Full HD display has 1080 x 2280 resolution and a tiny notch at the top. The dual camera setup (16 + 5 MP) on the rear of the smartphone is also quite similar to iPhone X. The front has whooping 24MP and it should take selfies with brilliant quality. There is no Type-C BTW, it still has micro USB 2.0 from the ancient times(just kidding) and also no Bluetooth 5.0 here. The 3260mAh battery looks promising considering the overall size of the device. So that was all on the best list of smartphones that are available under 30000 Rupees in India. If we missed any of the latest releases let us know, we will be glad to add it here! If you have any questions feel free to throw them in the comment section below. what is your opinion about one plus 5t and honer view 10? which one is better than another one? 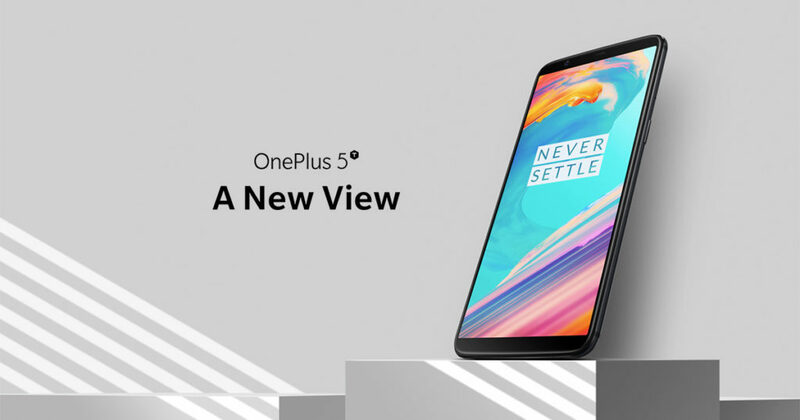 Personally, I will prefer OnePlus 5T as it has Qualcomm processor and all the bells and whistles you will need in a smartphone right now.